Welcome to the Vonage complaints department brought to you by HissingKitty. Experienced poor customer service? 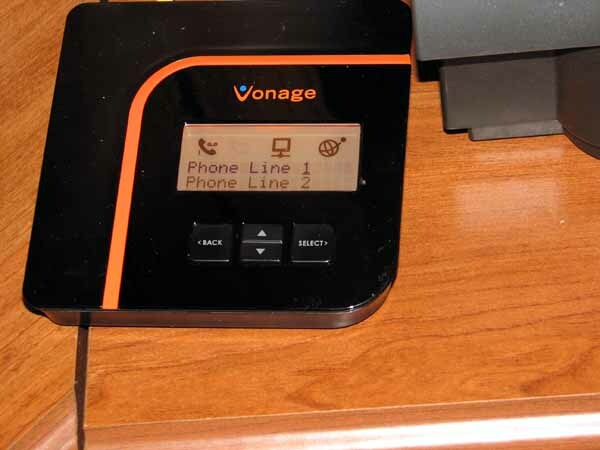 We make it easy to file a formal complaint against Vonage online. Simply use our free form and your feedback will be instantly forwarded for review. Need to contact the Vonage corporate office? We have the mailing address, phone number, and email address listed below. I signed up for Vonage home phone service thru a promotional ad . They told me I would get the for 9.99 a month and for signing up a 50.00 dollar Visa card. Well I go neither my service payment changed from 9.99 to 18.99 and I didn’t get my free 50.00 dollar Visa card and met the eligibility requirements of keeping service past 90 days. They are a bunch of liars and scammers !!!!!!!!! I have been having problems with the Comcast Internet and Vonage working together for several moths, called the Company several times, and they sent a signal to the xfinity modem, I am currently renting from them. Still the same problem existed for several months, and the Vonage Telephone (device) was unable to connect to the Internet! I often was interrupted when checking my emails, had to start up the PC again several times with AOL not responding. On October 4, 2016, a tech. came to the house, checked the modem and some lines outside, and came to the conclusion that it was a signal problem from Comcast. During the last four days, I had to use my cellphone to make calls, calling the provider up add several hundred minutes to my account (note I am only using the cellphone for emergencies with 100 plus 60 minutes a month). Your offshore representatives are very difficult to understand and seem to have not much technical knowledge. Due to Comcast's failure to properly maintain its lines, I suffered expenses by not being able to use my landline phone and had to use my cellphone instead of Vonage. Summary: The main problem with Comcast is outsourcing its Customer Service to an offshore call center, and obtaining satisfaction seems to be impossible. I do expect a decent credit on my account, which is more than $5.00.